Join today to receive specials, event invitations and leasing information. Lorenzo, located within University Park Campus Patrol Area, is within walking distance from fraternity row and USC campus. Lorenzo is your one stop shop college apartment community. You will find everything you want and need right at your finger tips! We pride ourselves on ensuring the happiness of our residents from the moment you contact us. Experience what exceptional service is all about at Lorenzo. Convenient, quick and reliable resident services at your finger tips! Lorenzo is a brand new, upscale student housing community near USC. Come home to under the budget over the top living at Lorenzo! Apply Today! Occupancy Commences 2013. Come live the ultimate Los Angeles, California lifestyle at Lorenzo. We are an upscale student housing community near USC. If you are searching for FIDM student housing or off-campus housing around USC, check us out today. 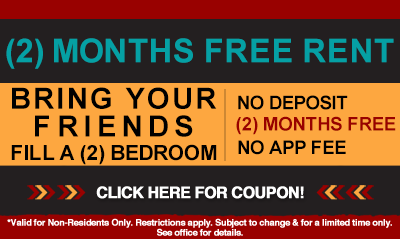 We are known as the best in student housing near USC Los Angeles. Lorenzo is half a mile from the USC campus, which means your classes are only a 10-minute walk from home! When you need to take a break from studies, the Fashion District is two miles away, the GRAMMY Museum at LA LIVE is a 16-minute DASH ride away and Staples Center is just a little over a mile from here. If you yearn for the ocean, it's only 14 miles to the Santa Monica Pier, where you and your friends can hang out watching the waves. Everything you need is literally at your fingertips when you live at Lorenzo. Why would you want to live at Lorenzo? All of our student housing apartments come fully furnished. Our student apartments in downtown LA offer a modern furniture package, including a 46-inch flat screen with DVR, stylish plank floors in the living area, stunning city views from your personal balcony, and washer and dryers so you don't have to send clothes home for laundering. When you need to get your grub on, our open kitchens with sleek stainless steel Whirlpool Appliances and microwave will have you eating in no time. Getting ready for the day in your luxurious bathroom with marble vanity will have you feeling like a movie star. We have secure electronic access on all doors, so you can feel at ease in your student residence. At Lorenzo, the rent includes cable, high-speed wireless internet throughout the property, electricity, gas, sewer, trash, water, access to all of our amenities and a wonderful staff to help you anytime you need them. Be sure to check out our amenities page for even more details. When it comes to community life, Lorenzo won't let you down. Get rid of some pent-up energy at our professional sand volleyball court, two indoor basketball courts, and virtual gaming and video arcade room. Make memories in our karaoke room, community lounges or rooftop sundecks. Stay fit by using our two gyms. Study in one of our libraries, or take advantage of our 16-seat conference center when you have a deadline to meet. Dine at Central Kitchen, the exclusive dining destination for residents of Lorenzo. Entertain your friends at one of our four resort-style swimming pools, five rooftop sundecks, two indoor basketball courts, four libraries with computer labs and study rooms, or feel like you've conquered the world by going to our rock climbing wall, and running track and cardio room. At Lorenzo, you will have exclusive access to lavish community amenities and features no other student housing rentals offer. We also feature convenient gated parking. Come see why Lorenzo is the most talked about apartment community near the University of Southern California. Remember to take advantage of a free lunch, if you tour our community.